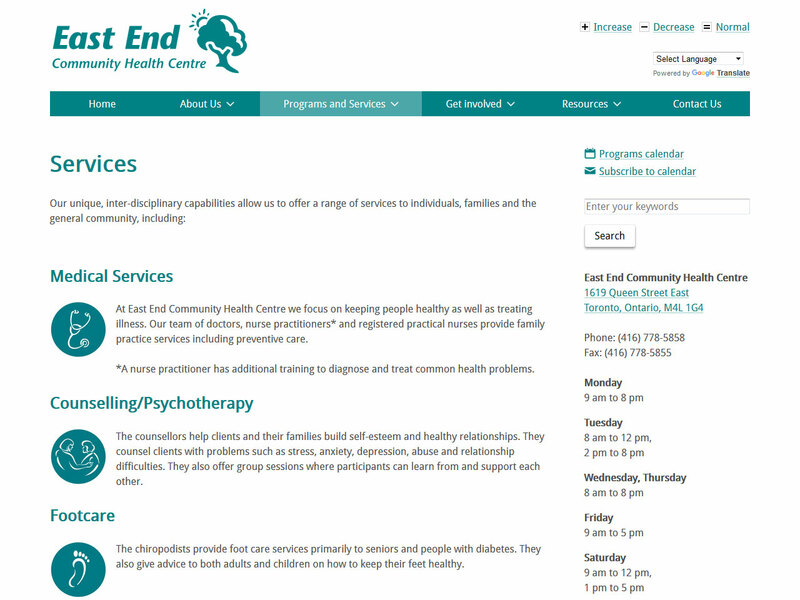 I was tasked with rebuilding the East End Community Health Centre’s legacy website (static HTML pages generated with Microsoft FrontPage) into a modern, responsive Drupal site in early 2015. 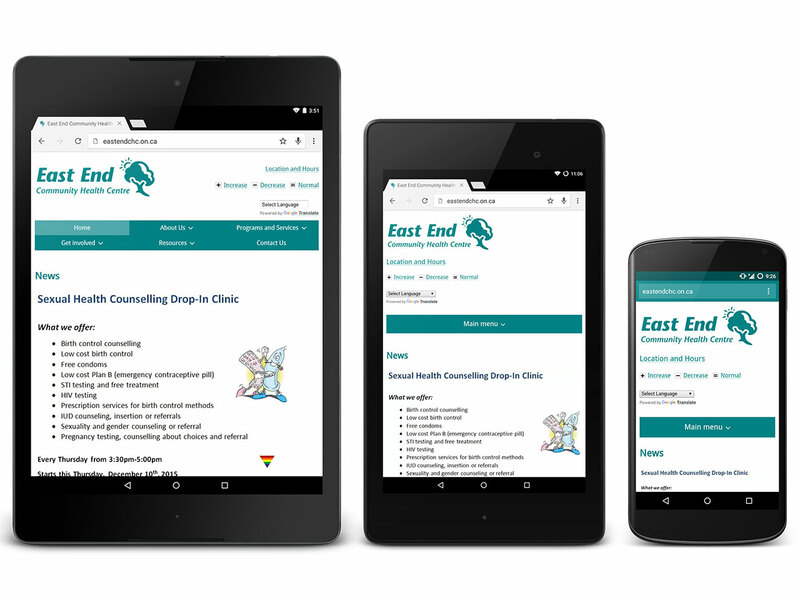 The logo and colour scheme were maintained, while the site was completely redesigned as a minimal interface for clients to find the information they need. The existing content was migrated to Drupal, and a user-friendly editing system was made available so that non-tech oriented workers at the centre could update the site pages, the news section, and upload various files (such as PDFs) through a visual file manager.